While E3 is the convention we’ll be keeping our eyes on this week, there are plenty of fan conventions going on next weekend that are much easier to attend. Every week, we’ll round up cons focused on cosplay, gaming or anything we find cool. We’ve linked the con sites, venues, and ticket information below. This con celebrates Japanese culture and fandom. This convention celebrates the creators and fans of games, comics, TV shows, and more. Karen Gillan, Jennifer Hale, Freddie Wong, Tara Strong and many more will be there. Anime, cosplay, sci-fi, and gaming dominate this con, which is in its fifth year. Horror is at the heart of this convention, but you’ll find pop culture and sci-fi, too. If you’re a fan of...well, anything, Fandomania wants you. Comics, gaming, anime, and more are part of this con. The comic and pop culture con bills itself as Texas’ largest. Cosplay, films, a code fest, gaming, roller derby bouts and more will be part of the three-day event. 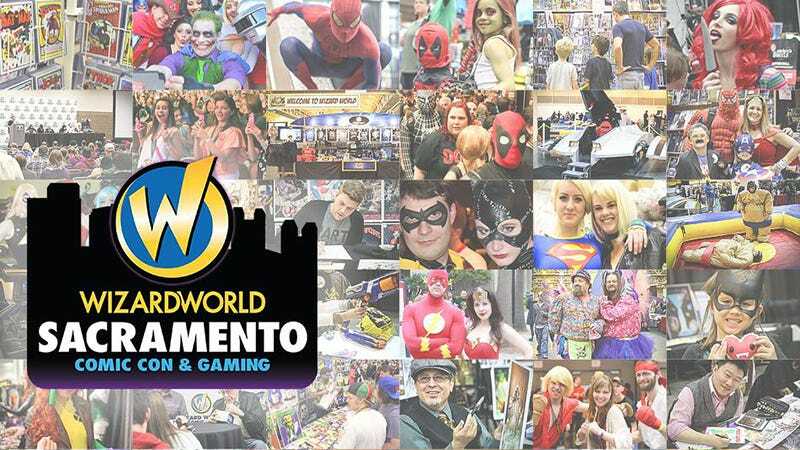 Sebastian Stan, Evan Peters, Hayley Atwell and William Shatner and many others will be at the three-day Wizard World con, which returns to the Sacramento Convention Center for the third time. Planning to attend a convention that didn’t make the list? Tell us about it in the comments.